Although free-roaming mustangs are often associated with the American W​est, wild horses can also be found on the East Coast. Beaches and islands in the Southeast offer a unique opportunity to see wild horses, such as the Chincoteague ponies and Corolla horses. The horses found along the southeastern coast seem to possess a special mystique that intrigues and enchants thousands of visitors each year. Living among the salt marshes, dunes, and maritime forests in Maryland, Virginia, North Carolina, and Georgia, these small, sturdy horses have survived for centuries and can still be enjoyed today. If you plan on visiting one of the pristine areas to see the horses, be sure to abide by the safety rules and tips for viewing the wild mustangs, horses, and ponies. Cumberland Island National Seashore, the largest and southernmost barrier island in Georgia, is home to more than 200 wild, or feral, horses. Although some of their original roots may have similarities to those of the wild horses in North Carolina and Virginia, the Cumberland Island horses are larger because of mixed breeding. The horses on Cumberland Island are completely unmanaged, except for very occasional intervention in the case of extreme injury. They roam the island freely and can often be seen lingering near the historic Dungeness ruins. Catch the Cumberland Island Ferry from downtown St. Marys for a day trip, overnight camping, or a stay at the luxurious Greyfield Inn, the only Cumberland Island hotel. Established in 1965, Assateague Island National Seashore is home to wild horses owned by two different states: Virginia and Maryland. A fence divides these two herds on Assateague Island at the state line between Maryland and Virginia. Local folklore states that the Assateague horses survived a shipwreck off the Virginia coast, although there are no historical records to prove the tale. However, in the late 17th-century, horses were brought over to the barrier islands and could be their ancestors. For centuries, wild horses freely roamed many areas of the Outer Banks. Detailed information from 16th-century Spanish ship logs and journals indicates that the first horses arrived on the Outer Banks as early as 1520. Visitors in 4WD vehicles are able to view the horses by driving along the beach and on sandy side roads. There are also many wild horse tours from which to choose. Most often referred to as Ocracoke ponies, Banker horses have been documented on Ocracoke since the 1730s. 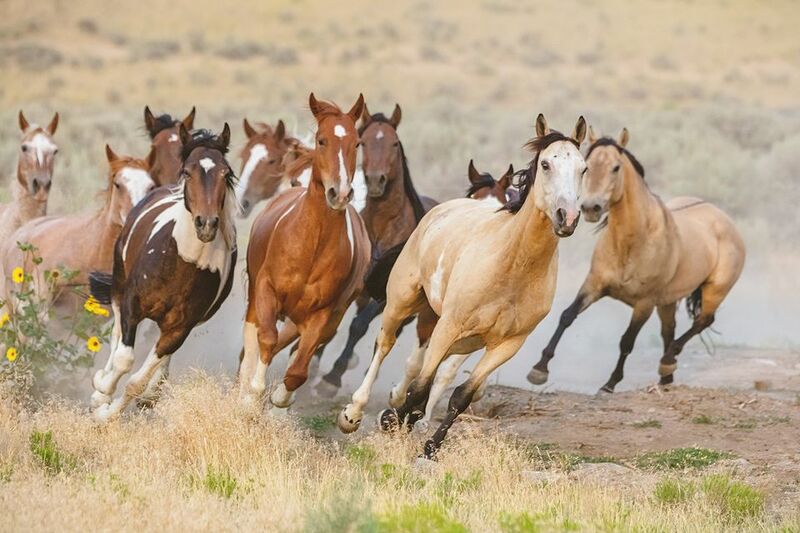 Many believe the popular theory that the horses arrived much earlier when Spanish explorers came over during the 16th century. Throughout Ocracoke history, these small but sturdy horses have served the residents, the U.S. Lifesaving Service, and the U.S. Coast Guard, and their descendants continue to capture the attention of visitors to the island. Shackleford Banks, one of the islands of Cape Lookout National Seashore, is home to over 100 wild horses. The horses roam freely across the narrow island, which is less than a mile wide and about nine miles long. Shackleford Banks is a wonderful horse-watching island, although because of its location three miles offshore, visiting the island takes a bit of planning. There are seasonal and regular ferry services that go to the island and the National Park Service offers occasional horse-watching field trips. The Rachel Carson component of the North Carolina Coastal Reserve and National Estuarine Research Reserve encompasses a complex of islands, located across Taylor's Creek from historic Beaufort, North Carolina. Carrot Island, Town Marsh, Bird Shoal, and Horse Island are easily visible from Beaufort's Front Street area and visitors frequently enjoy a glimpse of the Reserve's horses galloping along the beach or standing in the higher elevations. There are several boat tours around the island and ferry service to the island for visitors who wish to enjoy a closer view. Special programs and field trips are available through the Reserve, the NC Maritime Museum, and other organizations.